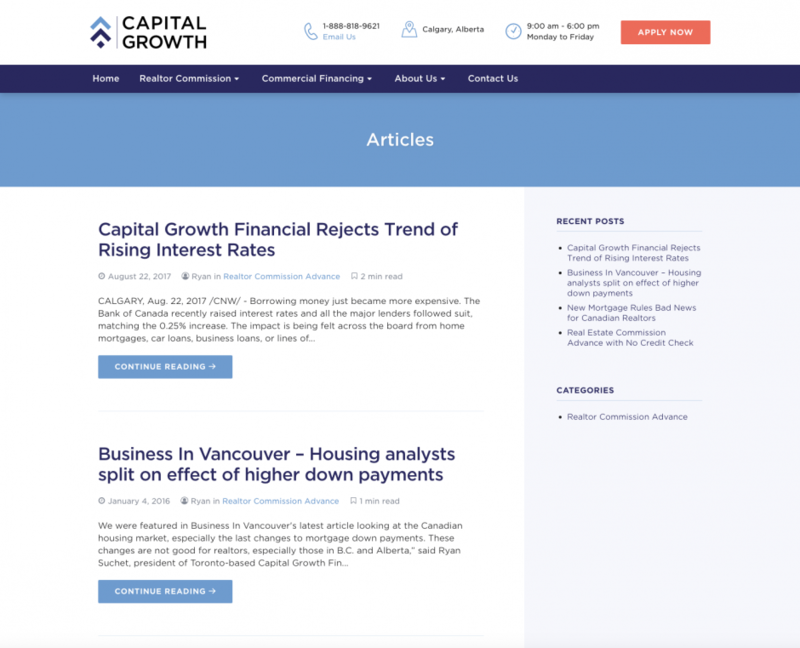 Capital Growth is a Calgary-based business providing commission advances and commercial financing for realtors and businesses across Canada. 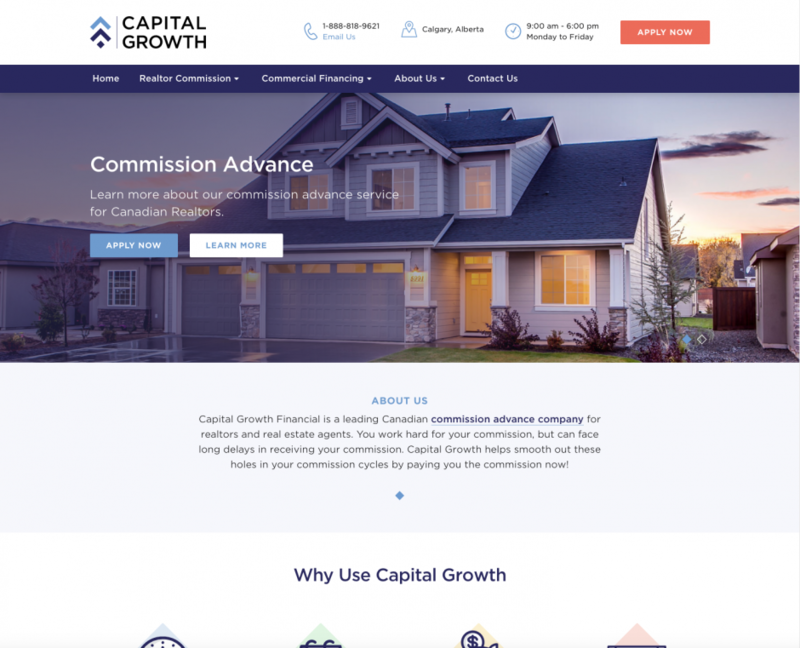 Project Summary: Having grown into a well-established and leading commission advance company, Capital Growth was ready to refine their branding and online presence. 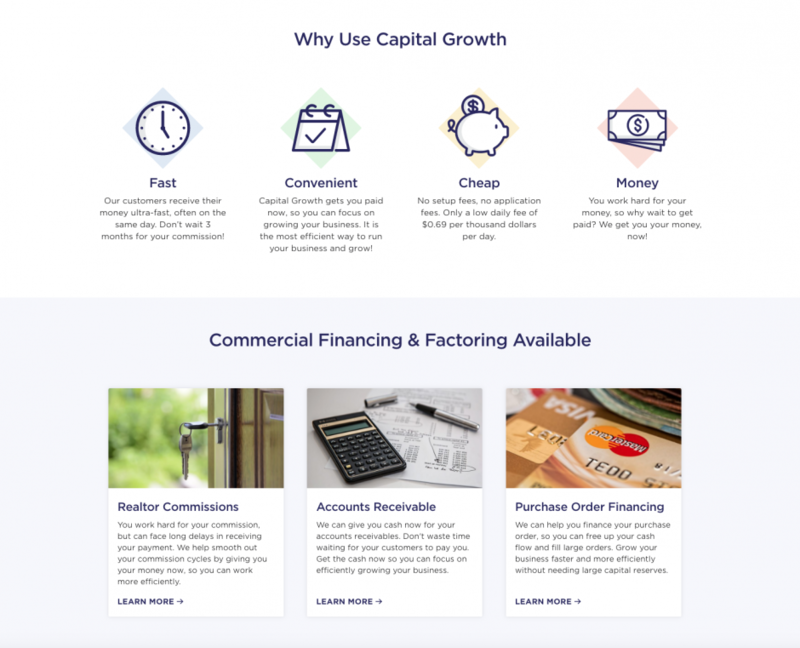 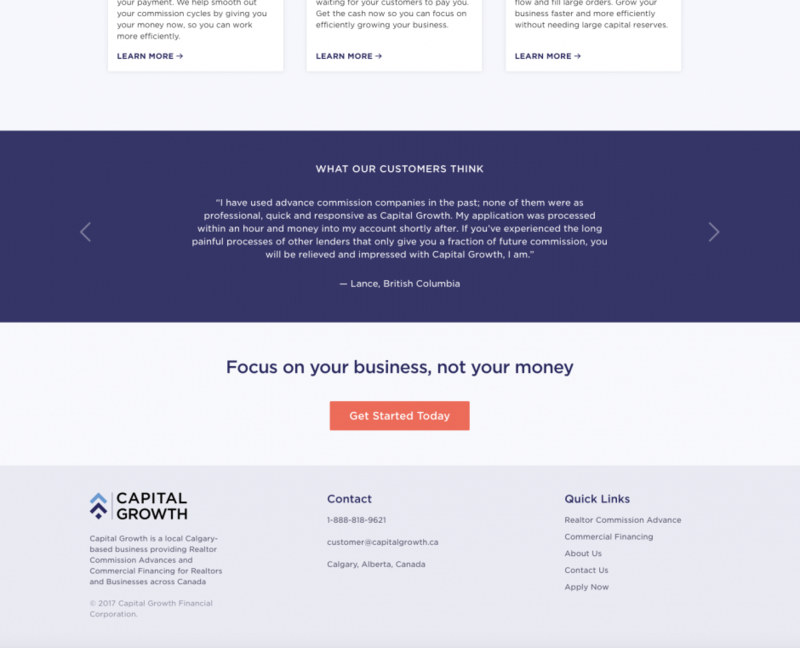 Pixel Designs developed a new brand identity and accompanying website for Capital Growth. 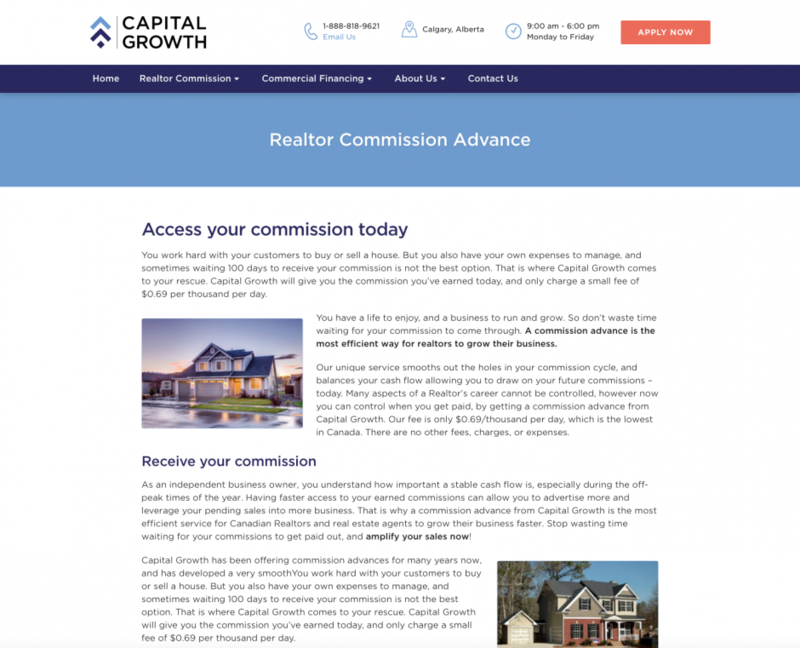 The new site is responsive and built on WordPress to allow for ease of updating and maximum flexibility.